Trail system is multiple loop networks that branch at different points along the lake road. Review: Second ride of day after blowing springs and didn't enjoy a lot. Up hills were ball busters, good down hills follow. Lots of loose rock. Would rather ride slaughter pen or blowing springs next time we are in the area. Review: Excellent trails, good for intermediate riders. It's beautiful ride too. I saw a bald eagle on the trail. Fun fast down hills and challenging uphills. Review: Wow! 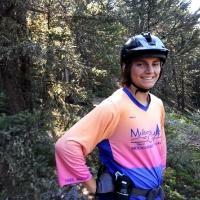 Great views, loose descents, and challenging climbs combine to make a great trail system. It is very expansive and covers a lot of ground, giving you many types of different trail surfaces and moisture levels. Once you're too tired to pedal any longer, coast through one of the many world-class runs at The Railyard Bike Park. Review: Very nicely layed out trail in a beautiful, redone city park. We only rode the north area trails but had a great time exploring the terrain with great views of the lake and surrounding greenway. Hope to get back and explore the south end trails and Railyard. Review: The trail IS open as of today. We ran into Nathan, the city of Rogers guy in charge of the mtn bike trails (and ride park). He confirmed that the trails south of Walnut are open. He even added a bridge to connect the 2 southern sections while they worked. The parking is at 1615 Pleasant Ridge Rd, at the lot there. You can access the southernmost section from there. 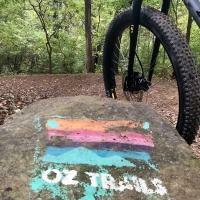 We got a map from https://www.nwatrails.org/trail/lake-atalanta/ (I am trying to get it uploaded) There are a few new link trails added to make it better for continuous riding. Blues have some steep sections, with quite a few banked turns, so fun downhills. Great signage, at intersections, unlike Slaughter Pen, so you won't get lost. We could only do about 5 miles. The city website says the park will reopen this summer. Until then, enjoy the southern trails. Review: Its Lake ATALANTA and is currently closed for construction. Unknown when it reopens. 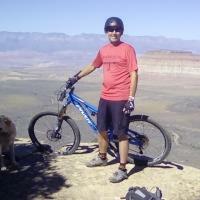 Review: Very nice trail system! Can be somewhat technical in certain sections. Great use of natural structure. Review: Nice trail. Quite a bit of climbing (equal amount of fast decents). Nothing is marked. We just looked around the park area and saw a trail. We are from out of town so it would be nice if there was a map of the trail system. Review: 5/5 trail for Arkansas. 3/5 trail for the US. Fairly similar to Blowing Springs terrain and style. Good use of rocks, some well built berms, and plenty of doubles built throughout the trail. Lots of airtime if desired, which I do. Some faster flows, some tight bar grabber sections. First ride was today, but I think it's great for the area. Also has some good bridge work where it's needed which also adds some good fun. Trail is designed in multiple trailheads around the lake that branch, then return to the same spot. So it's fun riding a trail loop for awhile, then moving on to the next area down the road. Good work from Progressive Trail Design. Good views of the lake too. 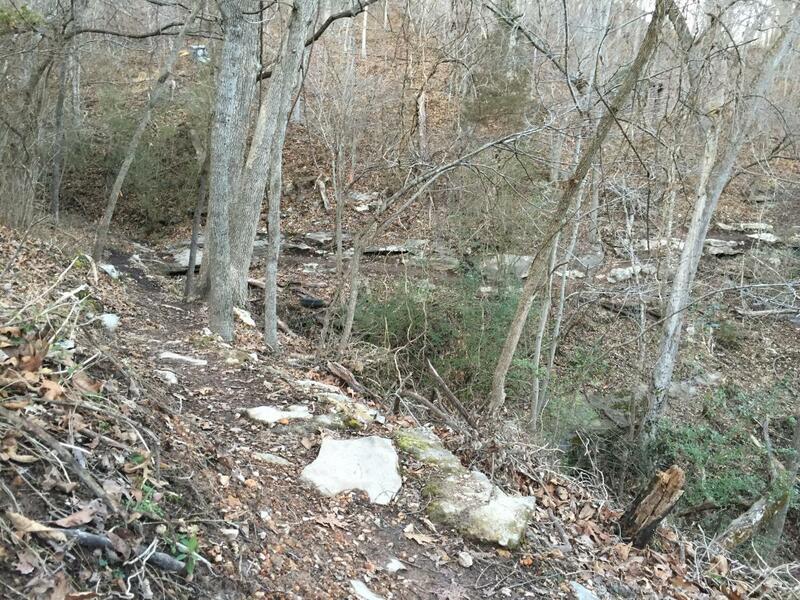 This is definitely an intermediate trail for around here, especially some of the narrow rock sections. It is a solid "Blue" trail rating. Review: This trail has been recently redone by progressive trail design and now offers 10 or so miles of single track. Only ridden it once, but I found it to be very well done, very fast with several opportunities to get a little air. It's a very nice addition to NWA's trail offerings. Lake Atalanta MTB Trail 4.20 out of 5 based on 11 ratings. 11 user reviews.